Mating of Hypolimnas bolina butterflies. Female (Top) and male (bottom) are individually identified by numbered labels on their wings.
. Qualitative and quantitative aspects of the silk nest and over-winter survival of gregarious larvae .
. Wolbachia increases the susceptibility of its host to hyperparasitism . In the natural population of the parasitoid wasp Hyposoter horticola in the Åland Islands (Finland), I have shown that about 50% of the wasps are infected by the unique Wolbachia strain wHho. The intermediate prevalence of wHho seems to be stable, at least for the last decade. My early research found no association of the wHho infection with fecundity, longevity or dispersal ability of the parasitoid host. However, results convey spatial associations between the Wolbachia strain and parasitism of H. horticola by its hyperparasitoid, Mesochorus cf. stigmaticus. There is a negative correlation between the prevalence of wHho and the hyperparasitoid wasp in the landscape in the Åland Islands. Using a manipulative field experiment, I addressed the persistence of wHho at an intermediate level. There were two possible explanations: either the observed negative correlation was due to the Wolbachia inducing susceptibility or resistance to hyperparasitism in H. horticola. This research showed that hyperparasitism of the wasp increases in the presence of wHho. For this costly symbiont to persist in the host population, it must also positively affect the fitness of its host in a way that balance with the costly burden of susceptibility to a widespread parasite. Such benefit from wHho is yet to be discovered.
. Melitaea cinxia life-histories in Fragmented versus Continuous landscapes . 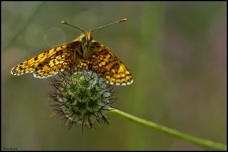 In collaboration with Prof. Ilkka Hanski at the University of Helsinki, Finland, I investigated different aspects of the evolution and ecology of the Glanville fritillary butterfly: Melitaea cinxia, with a particular interested in life-history traits and genetic diversity in M. cinxia populations from habitats with different degrees of fragmentation. From our study, it appears that habitat fragmentation has some deep impacts on the evolution of several life-history traits of this butterfly species. In populations evolving in fragmented habitats, post-diapause larval growth rate, flight metabolic rate and longevity are higher, but females fecundity is slower and reduced compared to individuals from continuous landscapes. We believe that fragmentation induces trade-offs between fecundity and dispersal traits. Indeed by reducing the opportunity of oviposition, fragmentation increases the need for dispersing. Results on the life-histories are published here. Associated variations at the genetic level are published here.
. Melitaea cinxia butterflies hang on for their life . The Glanville fritillary butterfly population on the island of Pikku-Tytarsaari (PT) has been isolated from immigration for the last 70 generations. We demonstrated that due to the demographic history and the effective size of the PT population (~100 individuals), butterflies have accumulated deleterious mutation and present reduced fitness when compared to the individuals from the larger population in the Åland islands. The study demonstrates that an increasing fragmentation of the landscape makes small and completely isolated population even more vulnerable to extinction due to high genetic load (see article here). On small islands, natural selection is also expected to reduce accidental emigration due to prevalent winds, which would lead to the lost of individuals to the sea. In the case of butterflies, flying capacity is required for feeding and finding partners for reproduction, the lost of flight is therefore not expected. We report that instead of having lost its flight capacity, the PT population has evolved a better grip in order to face the strong winds and avoid being blown off the island. Adaptation appeared in this population despite its complete isolation, low genetic diversity, and high genetic load. Published here. Video: A day of fieldwork at the Lammi Biological Station, Finland, June 2013. I achieved my Ph.D. degree in Genomics and Evolutionary Biology at the University of Queensland in Brisbane, Australia, working with Prof. Scott O’Neill. I investigated different aspects of a male-killing Wolbachia strain infection in the tropical butterfly Hypolimnas bolina. Wolbachia pipientis (Hertig and Wolbach 1924) is a species of obligate intracellular alpha-Proteobacterium closely related to Rickettsia. Wolbachia are extremely widespread, infecting for example 20 to 70% of all insect species, as well as other arthropods (spider, mites, terrestrial crustaceans, ...) and nematodes. Wolbachia is a vertically transmitted reproductive endosymbiont that can modify its host reproductive system to enhance its own fitness. The large diversity of Wolbachia/host interactions includes mutualism and all type of known reproductive manipulations: cytoplasmic incompatibility (CI), feminization, parthenogenesis and male-killing (MK) (O’Neill et al. 1997).
. Genomics of a male-killing Wolbachia . The complete genomes of four different strains of the endosymbiotic bacterium Wolbachia pipientis are publicly available: wMel, wBm, wPip and wRi (Wu et al. 2004, Foster et al. 2005, Klasson et al. 2008 & 2009). Three of these strains wMel, wPip and wRi induce CI in Drosophila melanogaster, Culex pipiens and D. simulans respectively, while wBm is a mutualistic endosymbiont of the nematod Brugia malayi. No MK strain has ever been sequenced and little is known about the genetic and the metabolic pathways involved in this phenotype. How does MK Wolbachia kill males? What are the gentic bases of this phenotype? Could the same genes induce MK and CI? How does the host act on the phenotype expression? These are unanswered questions that I was interested in investigating. I therefore sequenced the whole genome of a MK strain called wBol1, which provided the genetic bases for a comparative genomic analysis with the closely related and fully sequenced strain wPip. This comparison provided the first opportunity to investigate the evolution of Wolbachia genomes across relatively short evolutionary timescales. It also provided the first genomic comparison between MK and CI inducing strains, offering an opportunity to investigate the evolution of both phenotypes in Wolbachia (Duplouy et al. 2013).
. wBol1 and the tropical butterfly Hypolimnas bolina . The butterfly species Hypolimnas bolina (Linnaeus 1758), also known as the common or great egg-fly (Australia), or blue-moon butterfly (New Zealand), has a vast subtropical distribution from Sri Lanka to French Polynesia and a latitudinal range from Hong-Kong to Canberra, Australia. All-female broods of this butterfly species were first described in the 1920’s (Poulton 1923), and the cytoplasmic bacterium Wolbachia pipientis, strain wBol1, was recently identified as the causative agent of the male embryos death in H. bolina (Dyson et al. 2002). First identified in Fiji, this male-killing (MK) Wolbachia was found to be present in most H. bolina populations across the South Pacific (Charlat et al. 2005). However, wBol1 infection prevalence among H. bolina populations is extremely variable. More interestingly, despite the model prediction that MK fixation would lead to population extinction because of a severe shortage of males (Hurst 1991), wBol1 infection sometimes exceeds 75% of the butterfly individuals. During my Ph.D. I was interested in investigating the ecological causes and consequences of the high prevalence of wBol1 in H. bolina. Reproductive parasites such as Wolbachia can spread through uninfected host populations by increasing the relative fitness of the infected maternal lineage. Empirical estimates of how fast this process occurs are, however, limited. In collaboration with Dr. Charlat, we used nucleotide sequences of male-killing Wolbachia bacteria and co-inherited mitochondria to address this issue in the island butterfly Hypolimnas bolina. In a first study, we investigated the evolutionary history of the different Wolbachia infections by examining the genetic diversity in mitochondrial DNA (mtDNA), and the partitioning of the different mitotypes between butterfly individuals of different infection status (Charlat et al. 2009). We showed that the very high prevalence of wBol1 is associated with a very high transmission efficiency of the bacterium to the next generation, and demonstrated that wBol1 was acquired by H. bolina via introgression with another Hypolimnas species. In a second study, I showed that the wBol1-infected specimens scattered throughout the species range harbor the same Wolbachia and mtDNA as inferred from 6,337bp of the bacterial genome and 2,985bp of the mitochondrial genome. Results suggested that the wBol1 strain has spread across the South Pacific Islands at most 3,000 years ago, and probably much more recently. The study also suggested that wBol1 may confer its host with a fitness advantage allowing its spread to high frequencies in different butterfly populations (Duplouy et al. 2010).
. Effect of Wolbachia in host/symbiont/parasitoid metacommunities . Endosymbiont infections are generally costly to maintain as the symbionts exploit resources that are destinated for their host (Haine 2008). To be maintained and spread within host populations, symbionts may develop strategies that enhance the fitness of infected hosts relative to uninfected individuals. Wolbachia have developped very intimate relationships with their hosts in order to enhance their own transmission, either by inducing CI, a very successful reproductive manipulation (O’Neill et al. 1997) or, by evolving beneficial strategies in stress conditions (Hedges et al. 2008, Brownlie et al. 2009). Parasitoid insects have a strong impact on their host populations, I was therefore interested in the fitness effect(s) of Wolbachia in metasystems involving host and parasitoid insects. Using the model organism Drosophila melanogaster and two parasitoid wasp species, I tested the impact of Wolbachia infection on both fly resistance to parasitism and parasitoid success (Martinez & Duplouy et al. 2012). Brownlie JC et al. 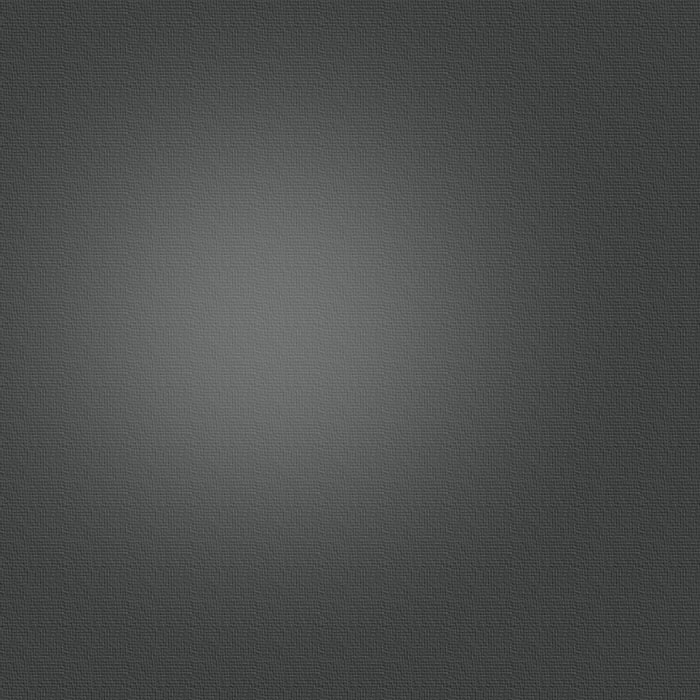 (2009) PLoS Pathogens 5(4): e1000368. Charlat S et al. (2009) BMC Evolutionary Biology 9: 64. Duplouy A and Hanski I (2013) Biology Letters 9:20130020. Duplouy A et al. (2010) Journal of Evolutionary Biology 23, No.1: 231-235. Duplouy A et al. (2013) BMC Genomics 14(1):20. Dyson E, Kamath M & Hurst GG (2002) Heredity 88: 166-171. Haine ER (2008) Proceedings of the Royal Society - B 275: 353-361. Hedges LM et al. (2008) Sciences 322: 702. Hertig M & Wolbach SB (1924) Journal of Medical Research 44: 329-374. Hurst L (1991) Proceedings of the Royal Society - B 244: 91-99. Foster J et al. (2005) PLoS Biology 3:599-614. Klasson L et al. (2008) Molecular Ecology and Evolution 25(9): 1877-1887. Klasson L et al. (2009) PNAS 106(14): 5725-5730. Martinez J & Duplouy A, et al. (2012) PLoS One 7(4): e35081. Mattila AKL, Duplouy A, et al. (2012) PNAS 109(37):E2496-505. Poulton EB (1923) Proceedings of the Royal Entomology Society of London: 9-12. O’Neill SL, Hoffmann AA & Werren JH (1997) Oxford University Press Inc., New-York. Wu M et al. (2004) PLoS Biology 2: 327-341.